GISTs in NF1 patients have a similar morphologic appearance to those that arise in patients without NF1. 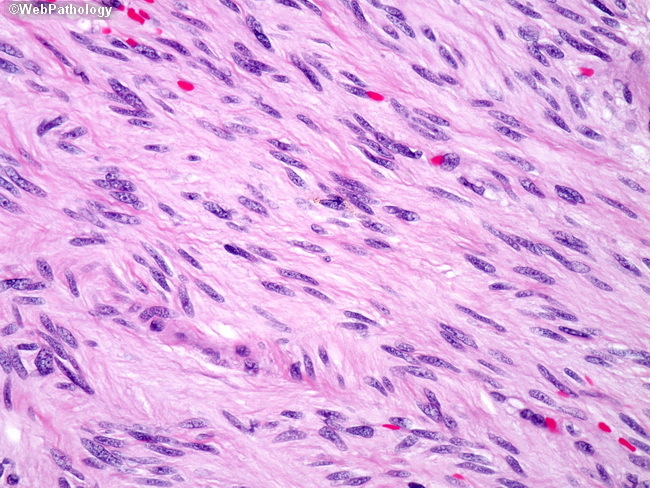 As the GISTs are usually benign, they demonstrate bland, spindled cells without numerous mitoses or necrosis. As the differential diagnosis includes neurofibromas or malignant peripheral nerve sheath tumors in these patients, immunohistochemistry (CD117 and S100) may be of value.